This means your donor has taken a risk with their money. 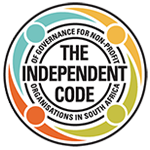 They have handed over their funds to your NPO and are totally dependent on your organisation to use the money wisely. People don’t take such risk unless they trust you, and it is important to maintain this trust and earn their respect. Stewardship is the process of looking after your donors once they have made a commitment to your NPO – you do this by making your donor’s experience as pleasant as possible through thanking, recognising, reporting and maintaining your relationship with the donor. Stewardship is part of the cycle of fundraising. If your donors remain happy with your organisation, they are likely to keep on giving. PreviousWhy should you research prospects and not just ask anyone?